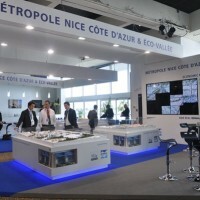 At MIPIM in Cannes, on March 13, 2013, the Metropole Nice Côte d’Azur and GDF SUEZ concluded a cooperation agreement for an innovative, efficient and sustainable city and land development. 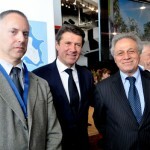 Mr Christian Estrosi, Mayor of Nice and President of Nice Côte d’Azur Métropole and Mr Gérard Mestrallet, CEO of GDF SUEZ, signed a cooperation protocol for an urban sustainable land development of the metropolis with a priority on the Plaine du Var Eco-Valley. 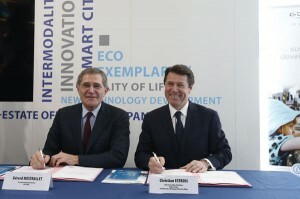 GDF SUEZ wants to be a partner of the metropolis to promote innovation, energy efficiency and the development of projects that integrate the concept of smart and sustainable city. This cooperation includes several innovative projects, including a project of urban energy systems located in the Grand Arenas or the construction of a building with high energy and environmental performance in the context of the EcoCities call for proposals. 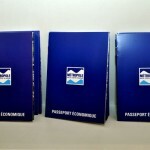 The Plaine du Var Eco-Valley, a major development project in France, will also constitute a privileged field of application of this protocol. A methodology will be implemented to measure the Metropolis energetic and environmental degree of quality and efficiency and will be a tool for the definition of policies and urban projects. 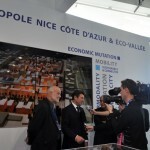 On the Nice Côte d’Azur Métrople stand, Mr Christian Estrosi, Deputy-Mayor of Nice and President of the Nice Côte d’Azur Métrople presented the Nice Meridia Technopole model in the presence of internationally renowned architect Christian Devillers – Agency Devillers & Associates – in charge of the urban project management. 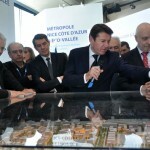 In a high-quality mixed urban surroundings, the urban technopolis Nice Meridia will bring together high-tech activities, research centers, businesses, a cutting-edge university and a learning regional campus initiated by the CCI Nice Côte d’Azur will complete this exemplary project. Future economic showcase of the Plaine du Var, it will provide a first operational phase of 26 ha, a privileged space in the areas of sustainable development, e-health, ICT and tourism, in addition to the twenty companies already received on the site (Cofely GDF SUEZ, Afiseo S.A.S, Alto Ingenierie, Advansolar, etc.). 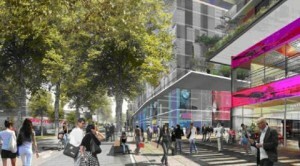 The project is expected to generate about 4,000 additional jobs by 2025. 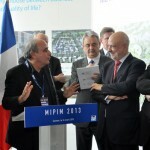 The first operational scope includes the construction of 160,000 sqm for housing, or approximately 2,100 housing for everybody, 38,000 sqm of training facilities, 100,000 sqm of tertiary combining offices, labs and R&D (incubators, nurseries, hotels of companies and business centers) and 22,000 sqm of shops and services, for a total of 320,000 sqm. 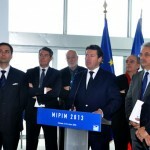 To this program, are added the 10,000 sqm of offices already built in Nice Premium where the Reception Center for innovative companies is installed, in connection with the Mediterranean Institute of Risk, Environment and Sustainable Development (IMREDD). The institute is to be the first link in the Eco-Campus for which the university must develop 70,000 sqm of teaching and research that will reflect the reorganization of university locations in the heart of a uniform landscaped garden. Nice Meridia wants to be an animated space and urban fabric served by many public transport lines and crossed by the future streetcar line. It is expected to become one of the driving forces of the Azurean Metropolis. 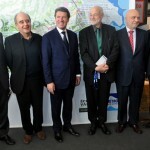 Ultimately, the project aims to develop on 200 hectares. Works on the site and marketing will start in 2013.